We are increasingly seeing interest in using serverless technology to create on-demand high-performance compute clusters for embarrassingly parallel workloads. Monte Carlo methods, genetic algorithms, map-reduce, and a host of other combinatorial optimization and operations research algorithms lend themselves to running in a serverless environment. Workloads like these are often compute and memory intensive. 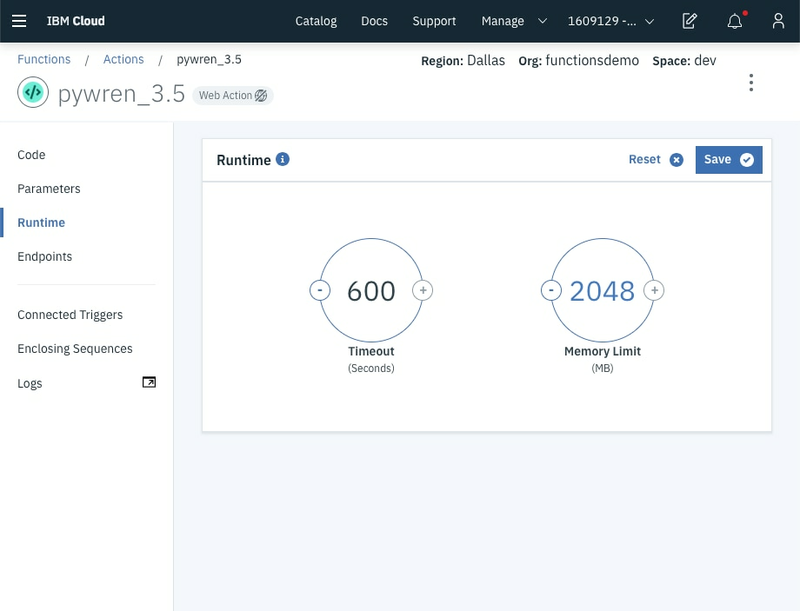 IBM Cloud Functions already has the ability to run 1,000 concurrent activations and I am happy to announce that we’ve raised the memory execution limit to 2Gb (2048 Mb) as well. For up-to-date information on the system limits for IBM Cloud Functions, go to the systems limits & detailspage.